To celebrate ‘The Year of History, Heritage and Archaeology’ in 2017, Kinross Museum collaborated with the community in the Parish of Portmoak in organising a programme of events co-ordinated by Nicola Carmichael, Wendy MacPhedran, David Munro and archaeologist Oliver O’Grady. Walks, talks, story telling, archaeological digs and surveys and the recital of locally-created prose, poetry and music from times past all featured in this year-long series of activities generously supported by the Heritage Lottery Fund and Historic Environment Scotland. Below are some images of the community events that took place, along with pdf and web links to some of the reports, surveys and publications generated as a result of the research work carried out. 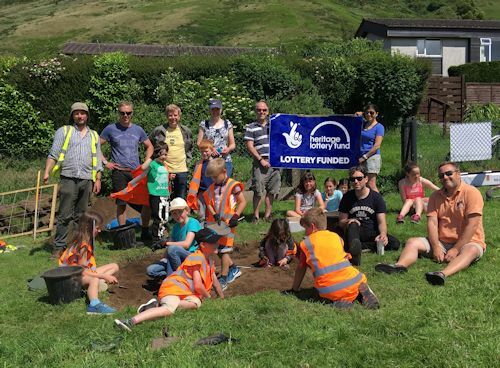 In August 2017 there was a rare opportunity for members of the community to visit St Serf’s Island on Loch Leven to learn more about the history of the island and recent archaeological survey work carried out there. 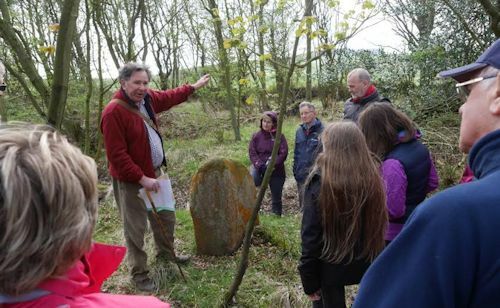 A major element of the Our Portmoak year was the Community Archaeology Programme which included geophysical surveys, Portmoak’s ‘Muckle Digs!’ and a heritage graveyard survey at Portmoak Parish Church. A summary report of the community archaeological activities led by Dr Oliver O’Grady is found by opening The Our Portmoak Community Archaeology Report. Loch Leven Discovery Day - archaeology for all ages! 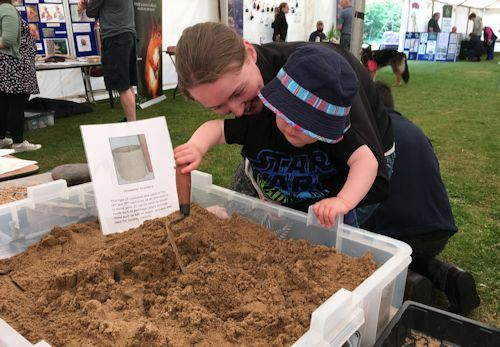 At the annual Loch Leven Discovery Day held in the Kirkgate Park in Kinross, even the youngest members of the community got a chance to be an archaeologist at the Our Portmoak ‘dig box’. Portmoak Stories told by Primary 4/5 – an enchanted island, an adventurer and a spy! Pupils at Portmoak Primary School in Kinnesswood had an opportunity to be creative with help from local story teller David Munro and creative workshop leader Tara O’Leary. Following a story-telling walk through the village and onto the Bishop Hill, a publication was produced by the pupils. This can be accessed here. In a series of events bringing together several groups from the community, memories were recorded of times past in Portmoak Parish – school days, farming life, family history and the coming of gliding to Portmoak. A walk through Portmoak Moss, a rare example of a raised peat bog, gave members of the community young and old the opportunity to learn about the use of peat as a fuel in the past and how peat is formed over thousands of years. A sample brought up from 5 metres below the surface of the moss revealed the remains of a 5,000-year-old hazel tree!